We require a £100 deposit, which consists of a £50 non refundable deposit to secure your date, and a £50 key/damage deposit which will be refunded within two weeks of your departure providing caravan was left as found. 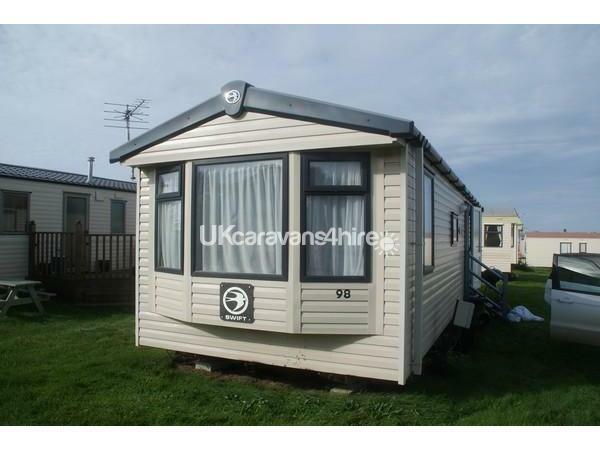 Caravan 98 is located to the rear of the holiday park in a quiet spot but still within easy access of the facilities, and very near the path leading down to the beach. 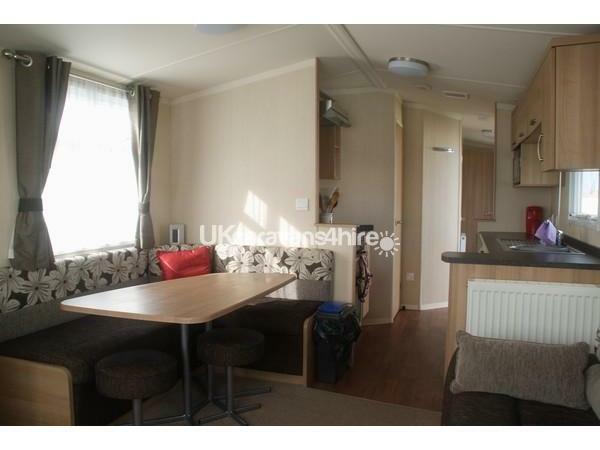 The van is a home from home and comes with a fully equipped kitchen, with fridge with small freezer compartment, hob, oven & grill, microwave, kettle & toaster. 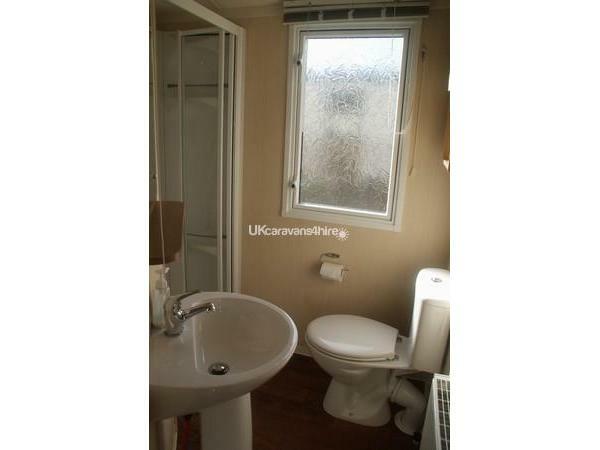 There are 3 bedrooms consisting of 1 double bedroom with a double bed and fitted wardrobes and dressing table. 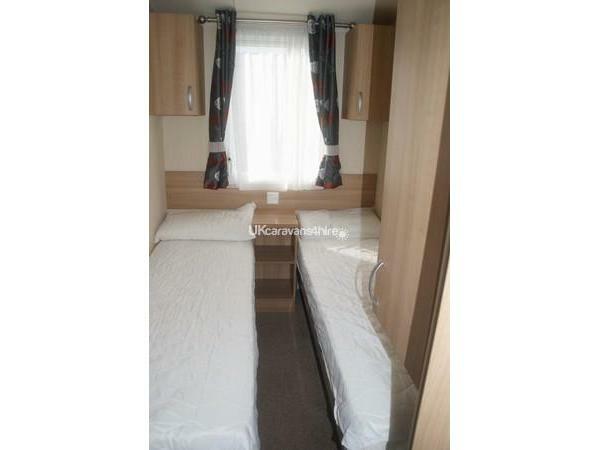 The second and third bedroom have 2x single beds and a small wardrobe and cupboard. 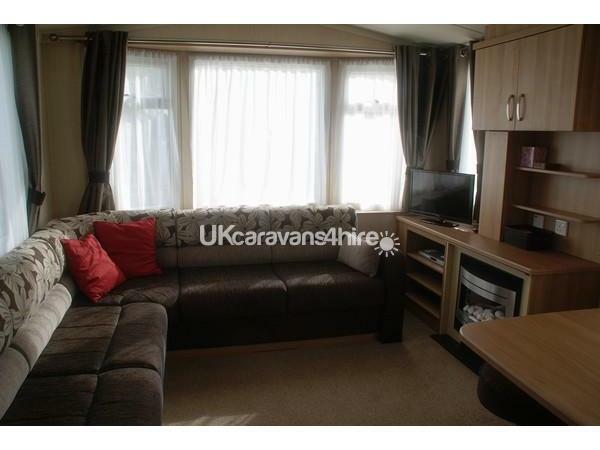 The living area has a large sofa and dining table for up to 6 people. For your entertainment there is a TV with built in Freeview and DVD player. Duvets and pillows are provided, so you just need to bring your own sheets, duvet & pillow cases, and towels. There is small Tesco store nearby in Padstow, or a larger store in Wadebridge. However, you can also get online delivery from both Tesco and Asda straight to the van door for ultimate convenience! There are many beaches to discover along this coast including the nearest, Harlyn Bay which is only 5 minutes walk from the caravan. A coastal path links the many beaches, a perfect way to explore this beautiful area. Padstow is just a short drive away from Harlyn Sands Holiday Park, with its many boutiques, fudge & ice cream shops, art galleries and surf shops. Padstow also has many lovely restaurants including the famous Rick Stein's. Padstow marks the start of the world famous Camel Trail. This is a cycle & walking path which has been created on the old railway line. It runs along side of the River Camel and makes for a beautiful bike ride and walk. In Padstow you could visit the National Lobster Hatchery and purchase freshly caught fish in the local fishmongers. There is also a passenger ferry from Padstow to Rock. 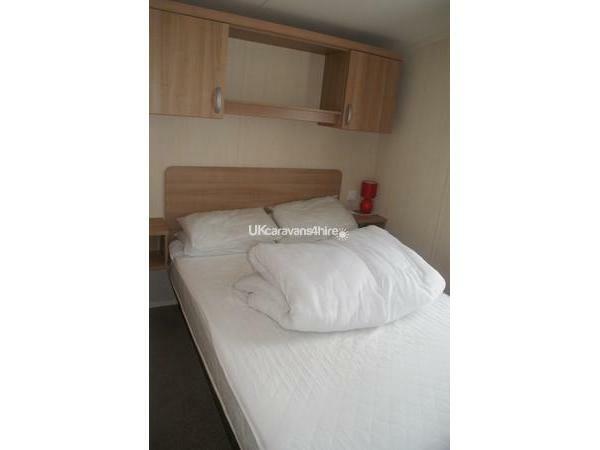 An 18 hole golf course is located just outside Harlyn Sands Holiday Park. Newquay is a 45 minute car drive away, as is the Eden project. In fact, Harlyn is a great base for exploring Cornwall. At the reception you will find a display stand with many leaflets on places to go and things to see in and around Cornwall. We love our van and hope you will too, it brings a real sense of peace and relaxation and is a home from home. Contact Helen to enquire about availability and prices.